Are you tired of leaky gaskets and oily messes? Rivera Primo's new Brute III Extreme 2007 Touring Enclosed Belt Drive for 2007 & later Touring models will solve all those nasty little problems and so much more. This baby will replace your antiquated chain drive thereby shedding your drive train of approx 25 lbs of unwanted rotating mass. This will make your engine work more efficiently, utilizing more of your horsepower to spin the rear wheel and much less to just turn the freakin' primary drive. To top that little miracle of physics, it also relieves you of all those nasty little maintenance jobs that you probably either haven't done, have done but hate them or pay the dealer a whole lotta moolah to do for you. 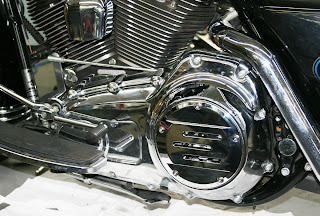 Jobs such as primary oil change, gasket replacement, chain adjustments, etc. ALMOST MAINTENANCE FREE!! Years of engineering and on-bike testing have enabled us to produce a state-of-the-art high strength 8mm primary drive belt. Layers upon extra layers of Aramid fibers makes the Brute III Extreme 2007 Touring one of the most durable enclosed belts & drive available today. Make no mistake about it! Thats great. But can it hold the power? 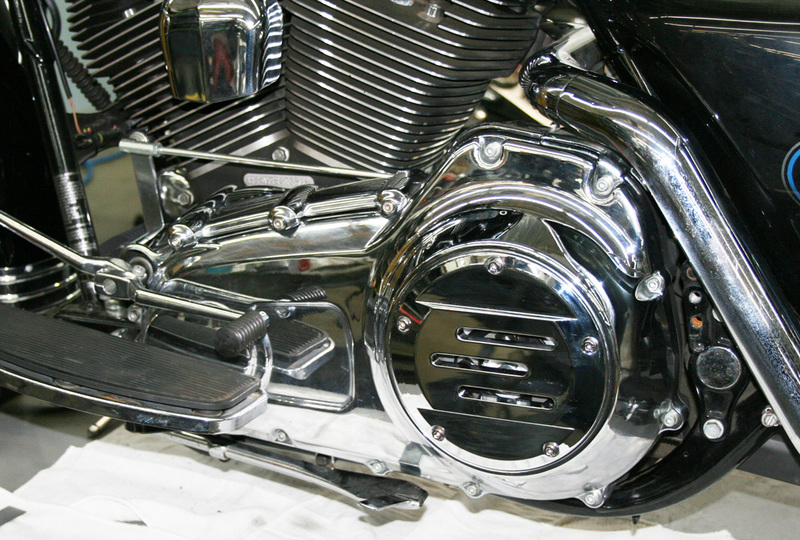 The Brute III Extreme 2007 Touring comes standard with our Pro Clutch™. Now we don't wanna brag (too much), but our Pro CLutch™ is hands down, the best clutch for American V Twins available. It holds the power with ease, but does not break your arm doing it. It is a diaphragm clutch which means it uses one cupped piece of spring steel to put equal all around pressure on the pressure plate. Antiquated clutches of by-gone eras used multiple coil springs and many other parts to put the pressure against the pressure plate. Problem was that the coil springs did not all have the same rate of collapse, so the pressure plate did not have an even distribution of pressure, plus the more you collapse a coil spring to put more pressure on the pressure plate, the harder it is to pull in the clutch lever. 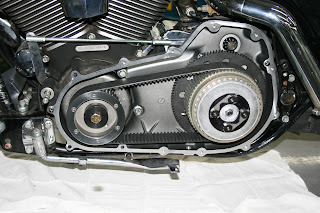 Diaphragm springs have a mechanical advantage over coil springs and are much easier to pull in. 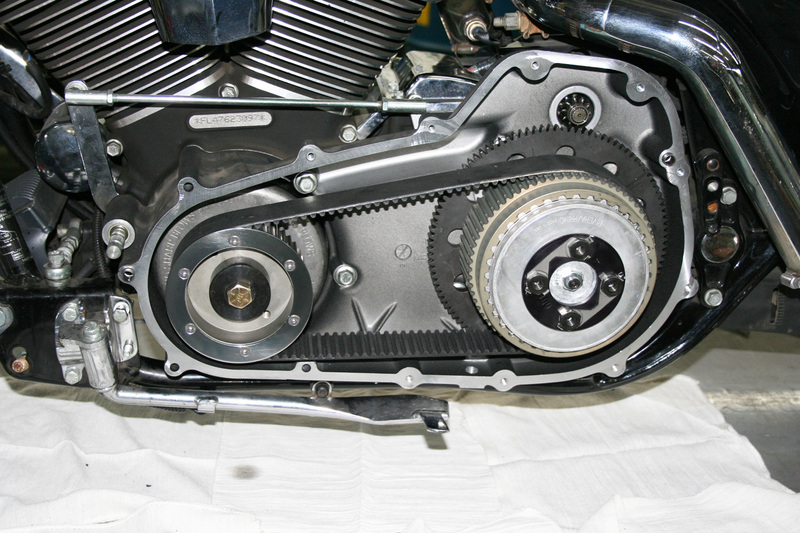 Lets face it gang, the diaphragm spring Pro Clutch™ is the absolute best! Rivera Primo® started life under Mel Magnet's guidance as Rivera Engineering® in the early 70's and then Mel added Primo Belt Drives® into its fold. After 38 years living life under two banners, we merged the two companies together under one name, Rivera Primo Inc®. As we enter into our 39th year of business with our President John Ventriglia at the helm, we continue on the course that Mel set for us those many years ago; Premium products, first class customer service, all topped off with a heaping helping of honesty and loyalty to our customers.